There are scores of temples or mathas dedicated to Raghavendra Swamy or Rayaru as he is affectionately called all over India. 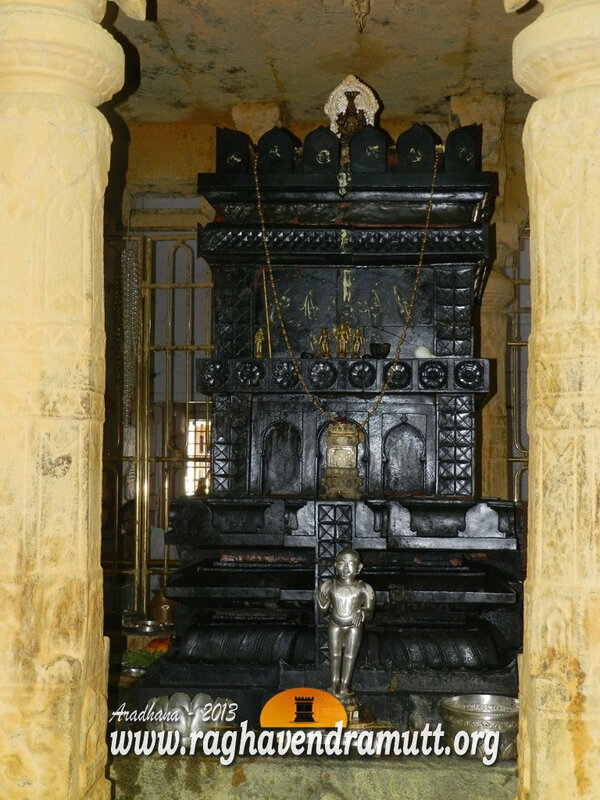 Karnataka is fortunate in having the maximum number of Mathas dedicated to Rayaru, including perhaps the first ever matha outside Mantralaya and this was in 1681 in Budhikote, which is s small town in Kolar district. Bangalore, as a city, has the maximum number of mathas dedicated to Raghavendra Swamy. There are Raghavendra Swamy Mathas in almost all the major cities of India, including Delhi, Mumbai, Kolkata, Chennai ad Hyderabad. However, there are mathas dedicated to Raghavendra Swamy is several small cities and towns and even hill stations. We found a small but beautiful Matha of Raghavendra Swamy in Ooty. The temple or rather matha is near Bombay Castle Theatre and it is open in the mornings and evenings. The priest at the matha speaks Kannada and Tamil. More importantly, the matha provides accommodation (Transit) and you can stay in a hall. For more details, contact The Branch Manager 0423-2448422, Sri Raghavendra Matha, Near Bombay Castle Theater, Ooty – 643 001, Neelagiri District. Apart from the matha, Ooty has several; other temples the most famous of which is the Mariamman temple atop Elk Hill, Murugan temple, Venkateshwara Perumal temple and the Munishwara temple. There is also an old Jain temple which is dedicated to the first thirthankara-Rishab. This temple was thrown open to the public since 1895. There is a small but beautiful museum alongside the temple. That is awesome, Ramesh. Any pictures you took? Yes, Meera. The location of the matha was really beautiful. Yes, we did take photos and I will be posting them shortly. We also visited the Rayara mathas at Chennai and Srirangam.